Bright light ruby color. Aromas and flavors of plums, lychee, grapefruit pith, and crushed gravel with a tangy, dryish full body and a charming, fast finish with earthy tannins and no oak flavor. Let this rosé aerate to reveal its full, fruity potential. 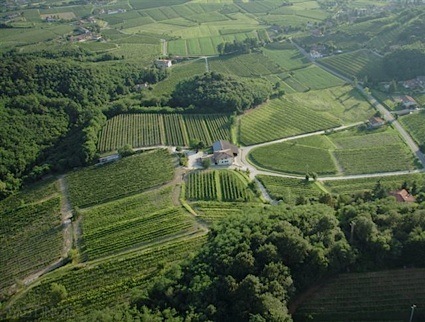 Bottom Line: Let this rosé aerate to reveal its full, fruity potential. 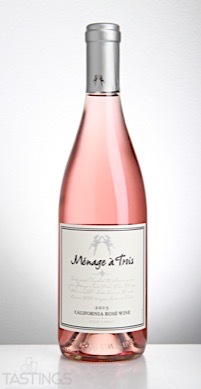 Ménage à Trois 2015 Rosé, California rating was calculated by tastings.com to be 85 points out of 100 on 4/17/2017. Please note that MSRP may have changed since the date of our review.